What Is a PCIe SSD, and Do You Need One in Your PC? A solid-state drive, or “SSD”, is much faster than a traditional hard disk drive (or “HDD”). SSDs have been around for awhile, but a new breed of SSD, called PCIe SSDs, are slowly starting to rise. But how are they different than normal SSDs? SSDs use internal flash chips to house your files, while HDDs use a physical, spinning disk to keep everything contained. The benefits of SSDs over their older HDD counterparts are numerous, including a more compact size, lower power requirements, and much faster speeds across the board–which means your computer will boot and launch programs faster. But PCIe SSDs take it a step further, by using one of the highest bandwidth channels in your PC for blindingly fast speeds. To start, it helps to know the difference between the channels that SSDs use to communicate with the rest of your PC. 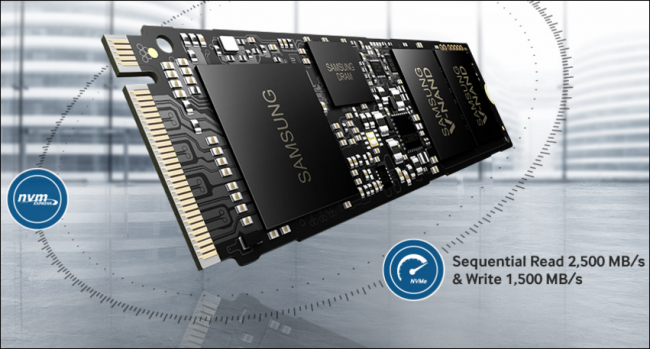 Almost all SSDs currently on the market connect over what’s known as SATA III, which in its standard 3.0 format is theoretically capable of transmitting data at around 6.0 Gigabits per second, or 750 Megabytes per second. In practice, it’s never quite that fast, but we’ll use theoretical speeds for the purposes of comparison here. 6 gigabits per second is plenty quick for most desktop and gaming applications, and will keep your boot times in the sub 5-second range if you’re running a fresh operating system straight off the disk. The PCIe slot, on the other hand — the same slot you use for video cards and other expansion cards — is quite a bit more powerful, handling around 15.75GB/s when completely maxed out. This is an insane amount of data to push through at once, which is why various entries into the PCIe SSD market have been posting theoretical transfer rate results that can hover anywhere from 1.5GB/s to upwards of 3.0GB/s without breaking a sweat. For comparison, a SATA SSD can read data around 550 MBps, and write it slightly slower at anywhere from 500 MBps to 520MBps. These aren’t hard numbers, and will vary from model to model. But in general, it’s clear that SSDs are inching past the theoretical limit of what SATA III has to offer, and if the tech is going to continue to follow the same upward trajectory as the hard drives that came before it, the PCIe slot will have to be the next logical progression of where they end up next. So when compared on paper, it’s hard to deny the obvious benefits you can get out of a PCIe SSD than you would the classic SATA variant. But what kind of real-world applications do they actually have for the average consumer? Unfortunately for the time being, all that power doesn’t exactly come cheap. When lining up two Samsung models against one another, we found that while a 500GB 850 Evo SATA SSD from Samsung will run you around $170 at the checkout counter, the company’s PCIe model, the 950 Pro M, nearly doubles the price at $330. The story is the same across the board, which means that unless you have a specific server application or game that can take advantage of all the speed benefits that PCIe SSDs offer, it can be difficult to justify the cost of ownership. While PCIe SSDs are a natural fit for enterprise and server applications, for now they’re still a bit overkill for what grandma might need installed in her machine. Unless you’re moving gigabytes upon gigabytes of files every day in a situation where every second counts, the SATA III SSD variants should be fast enough to handle almost any job you can throw their way. 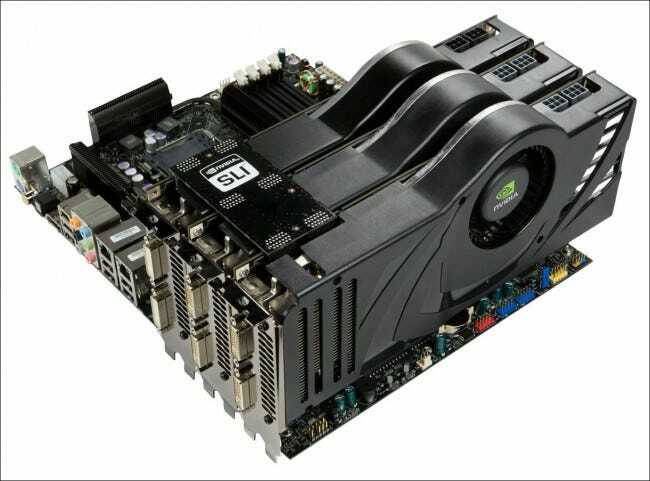 Add this to the consideration that most motherboards will only come with a limited number of available PCIe slots, several of which may be taken up or blocked altogether by a particularly beefy graphics card, or two strung together in an SLI setup. When space is limited, you have to decide which is right for you: more speed in your storage, or more power in the graphics department. Although it may only be a few years before we’re all looking back on SATA III connections the same way we do IDE ribbon cables that came before, right now PCIe SSDs are still a fringe product for a very select number of users. If you’re a gamer who demands the absolute most out of their system, run multiple servers that require multiple backups a day, or just someone who likes to throw files around on their PC to see how fast they copy from one drive to the next; a PCIe SSD may seem like a worthy investment. With that in mind, if you only use your PC for light browsing activities or daily work, the amount of speed that a SATA-based SSD provides should handle your needs–all at about half the total cost.